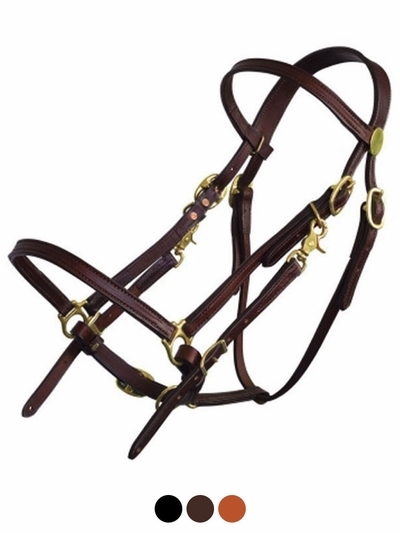 The same useful design as the Standard Halter Bridle, but in a lighter version. Made from the same fine bridle leather, 5/8" bridle and 5/8" halter cheeks. Cob size. Crown 17", Cheeks 8 1/2", Noseband 26", Throat 19".